Monica over at equippingcatholicfamilies.com was kind enough to give me the “Journey with Jesus: Sacraments” craft kit to review. 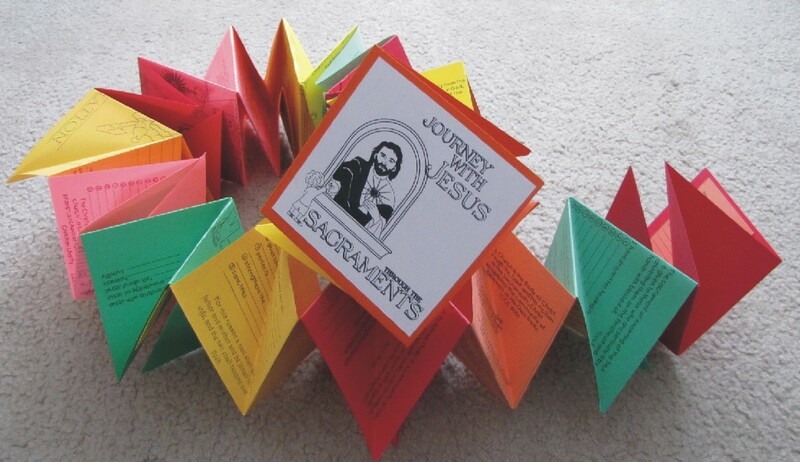 Journey with Jesus is a 23 page printable kit that teaches children about each of the 7 Sacraments as well as the Mass, the gifts and fruits of the Holy Spirit and the Stations of the Cross. Each page has fill in the blanks, prayers, Catechism and Scripture quotes and information regarding the Sacrament being studied. There are also pictures related to each Sacrament that the child can study. Once the pages are completed they can be made into an accordion scrapbook like in the picture above, or put into a store-bought scrapbook or one that you’ve created yourself. So far, Andrew and I have worked on the Baptism and Sacrament of Penance pages. He is seven and will be making his First Holy Communion next year, God willing. My plan is to work on the pages as much as we can, put the scrapbook together and then revisit the book each time he receives a sacrament. And not being very creative (!) I’ve opted to just make our scrapbook out of construction paper. So far Andrew and I have enjoyed working on the pages together. It’s been so wonderful talking about Baptism and Penance with him and watching his understanding and knowledge of our faith expand. I’ve read the Scripture and Catechism passages, having Andrew read the words he knows before he colored and glued and the pages to the construction paper. 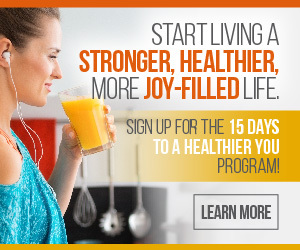 If I had one slight criticism, it would be that the fill in the blank lines are a little too small. I’ve had to write the answers down for him because he’s not able to write that small yet. Having said, that, there really isn’t anyway to make them bigger and include everything on each page. That looks like fun! I have a 7yo going into his “Sacrament year,” too. That sounds like a fun project. And for those who are more creative than I am, they will probably have even more fun with it. That’s a great point about how the lines are a little too small for little people writing. I will definitely think about how to change that…without losing too much information or reflections! I will be linking to your review over at equippingCatholicfamilies.com …and if you are interested…I’m going to be offering TWO NEW Craft Kits for review (on Catholic Blogs)…very SOON! They also have lots of Catechism packed in…but no writing. =) …just coloring and folding and quizzing. Thank you for considering my feedback! Truth be told, Andrew wasn’t too, too disappointed that he didn’t have to write the answers. LOL! You are very generous, Monica; I’d be happy to review your two new craft kits. Thank you!